Welcome to Piper, a toolbox for budding inventors and engineers to build connected gadgets and electronics while playing Minecraft adventures! It's a digital-physical construction set that's simple, fun and for everyone. Think: Legos + Minecraft = Piper. Today, kids grow up surrounded by technology and they play and consume it with ease. But most kids today don’t know how to create with technology. We think that by restricting kids to closed, black-box devices like tablets and phones, we deny them an opportunity to tinker, explore and develop their creativity. 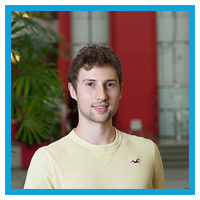 Inspired by his own near-death experience in Ghana, Mark Pavlyukovskyy, founder of Piper, decided he wanted to create the tools to allow anyone to understand and build with technology. When he met Shree Bose, the Grand Prize winner of the first Google Global Science Fair and STEM advocate, their shared vision became the beginnings of our Piper toolbox. They were joined by Joel Sadler who had a history of inventing devices to empower individuals, starting with the prosthetic Jaipur Knee that has allowed thousands of people to experience walking for the first time in their lives. As the founder and CEO, Mark sets Piper's vision and handles product management, outreach, and sales. He graduated from Princeton, and started a Ph.D. program at Oxford before leaving to pursue Piper full-time. He has led several education projects in Ghana and India before creating Piper. Joel manages technical aspects of the product. 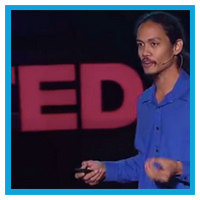 He holds an undergraduate degree from MIT and a Ph.D. at Stanford. Before Piper, he worked with Steve Jobs on special projects and also invented an affordable knee joint prosthetic for amputees (JaipurKnee), which are now the standard in India. After selling the company to D-rev, he now works with product development for Piper. Hear Joel's TEDxJamaica Talk: "Solving Big Problems with Tiny Prototypes"
Shree was the grand prize winner of the first Google Global Science Fair and has since then, used her global platform to advocate for better STEM education. 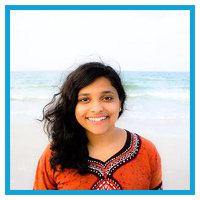 As a cofounder and CMO, Shree focuses on outreach and marketing strategy for Piper, while currently working on her undergraduate degree at Harvard University. Read Shree's Story in the Huffington Post: "How My DIY Computer Got Confused for a Cookie Box Because I'm a Girl"
From the moment they're born, kids touch tablets and phones, but never ask how they work. 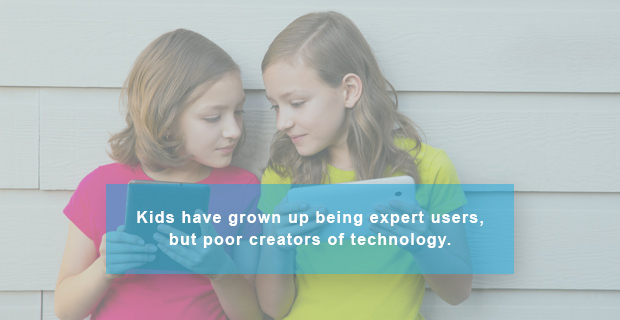 Kids grow up being expert users, but poor creators of technology. Kids have gadgets more powerful than the computers that sent man to the moon but only use them to take pictures, talk to friends, and play Angry Birds. By hiding the powerful potential these devices hold, we destroy children's natural curiosity and imagination about what's inside the box and what's behind the screen. We think it's unacceptable to hide technology inside plastic cases. Kids are inherently curious and creative. 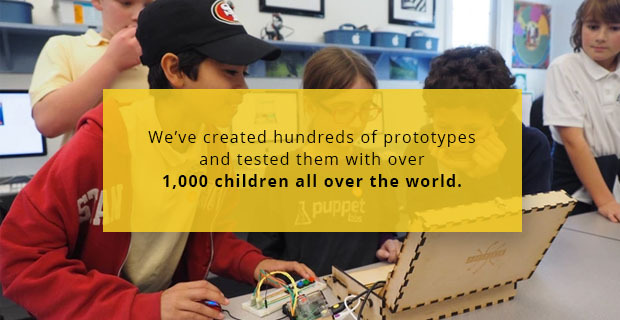 So we've made a product to empower a generation of tinkerers and explorers. By giving kids tools that increase their curiousity instead of stifling it, we're preparing them for success in the 21st century. With over 100 million users worldwide, Minecraft is the most popular game in the world. 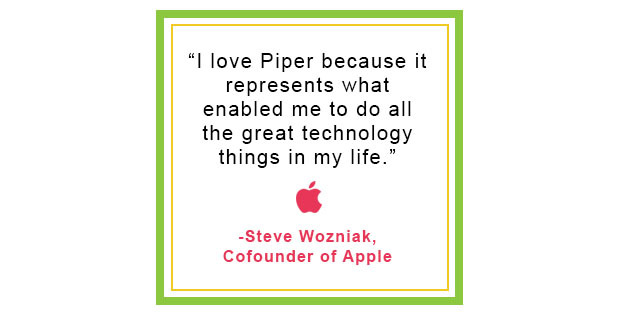 The Piper Inventor's Toolbox leverages the power and popularity of Minecraft and allows any child to get started creating technology. Piper lets you play a custom version of Minecraft. On your adventures, you guide a buggy robot to help him stop a deadly asteroid on a collision course with Earth. When your robot is in trouble, you build physical hardware like buttons, switches, and lights with real-time feedback from the game. With each new piece of hardware you unlock new powers and abilities in the game. The entire kit is made with standard, off-the-shelf parts. This means no custom manufacturing, completely safe parts, and no high manufacturing costs. Because of Piper’s flexible, supermodular nature, kids are literally building their own fully functioning computer. We capture kids’ inherent desire to play Minecraft and transfer that into building electronics and gadgets. We’re excited to take the next steps in our development and hope you'll join us. 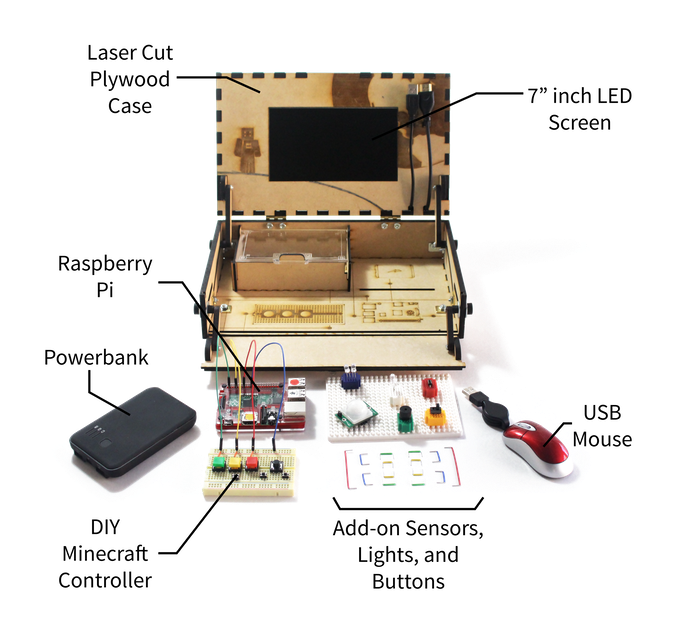 Assemble the wooden toolbox and connect the Raspberry Pi 2 to the 7-inch LCD display, power bank, and electronics. Once assembled, you enter a Piper Minecraft adventure map on the screen. Your Mission: guide a robot to prevent an asteroid from crashing into Earth. The robot is damaged - build parts in real-life to give him power-ups in the game and save the day! 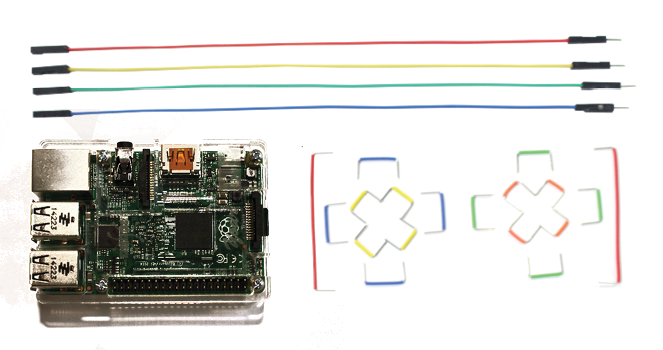 To control your robot in the game, you build a physical controller using a real breadboard and buttons. The game shows you how to build hardware, and gives you real-time feedback to guide you. As you progress through the game, you build hardware powerups, such as switches, LED lights, buzzers and sensors to give your robot more virtual abilities. Need to cross lava? Use a switch to generate a bridge! Looknig for diamonds? Make a diamond proximity sensor with LED lights! The Raspberry Pi is a credit-card sized micro computer that costs only $35, yet has all the capabilities of a standard computer. When we started testing Piper with kids, we learned two things: kids love Minecraft and kids hate being told what to do. 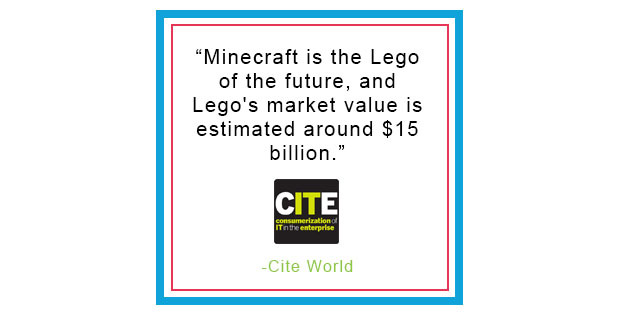 Minecraft is a building blocks game like Legos for the digital world. It is fun for kids because it allows them to create anything, share what they create, and play collaboratively. With over 100 million players, it is the most popular game in the world. 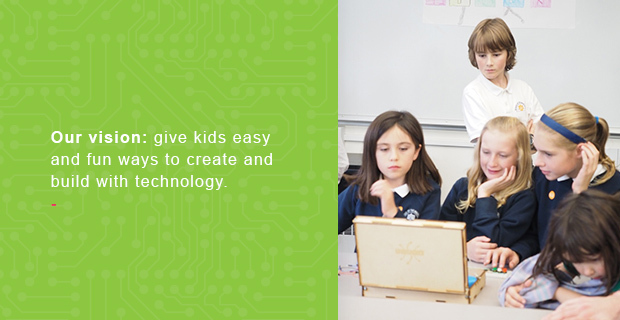 Kids receive real-time feedback in the game which assists them with building hardware. Each gadget you build gives you a special power-up and allows you to keep playing the game. This direct correlation between the physical world and the digital world creates incentive and motivation to keep going. There is an immediate sense that the wiring and engineering kids do with Piper matters. They first build the controller to navigate their robot, but must later add switches to activate hidden bridges and doors. And as they begin to develop their own ideas, kids can play around in sandbox mode to create their own electronics. We hold three provisional patent applications and are currently exploring a retail partnerships to secure a distribution deal in toy stores. Several schools have already purchased classroom sets, and we are in the process of getting our kits into entire school districts in bulk. The largest distributor and bulk processor in the home-school market has already signed an official partnership with us. We’ve been featured in many publications including The Huffington Post, Fast Company, The Daily Dot, Forbes, ABC, Inc., Make:, and Business Insider. Up Next: We are shipping our first batch of orders for Christmas of 2015. In 2016, we will reduce the production cost, build a community of users, target retail store expansion, and expand to other platforms besides Minecraft. Our goal is to combine the best elements of learning and play and today, Minecraft offers the best platform for reaching a large audience. As the market evolves, we will be uniquely positioned to incorporate the latest games and platforms because of our expertise in game design and education.